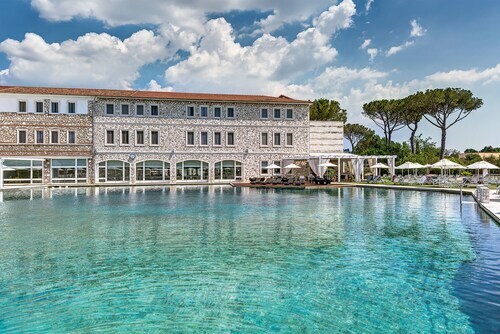 Situated in Manciano, this luxury hotel is within 1 mi (2 km) of Cascate del Mulino and Terme di Saturnia. Piazza del Castello di Montemerano and Art History Library of Montemerano are also within 6 mi (10 km). Situated in Castiglione della Pescaia, this residence is within 9 mi (15 km) of Natural Reserve Diaccia Botrona, Red House of Ximenes, and Abbazia di San Pancrazio al Fango. 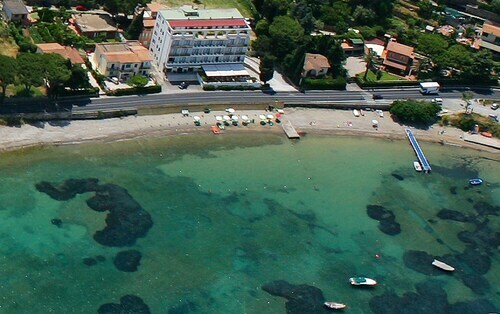 Scarlino Marina and Golf Club Punta Ala are also within 12 mi (20 km). Situated in a rural location, this luxury hotel is 1.7 mi (2.8 km) from Terme di Saturnia and 2.9 mi (4.6 km) from Cascate del Mulino. Piazza del Castello di Montemerano and Art History Library of Montemerano are also within 6 mi (10 km). 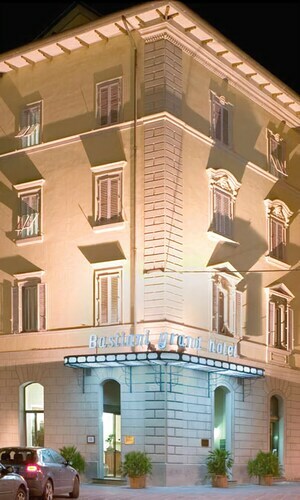 Located in the heart of Grosseto, this luxury hotel is steps from Colonna Romana, Grosseto Cathedral, and Piazza Dante. Palazzo Comunale di Grosseto and Palazzo Aldobrandeschi are also within 5 minutes. Grosseto Station is 15 minutes by foot. 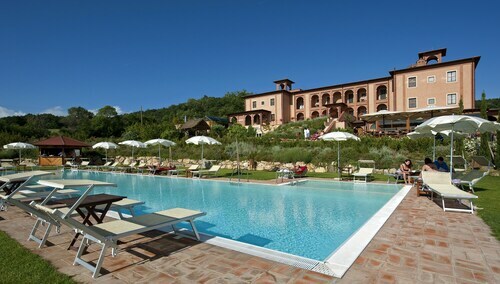 This family-friendly Castiglione della Pescaia hotel is located in a rural location, 2.8 mi (4.6 km) from Abbazia di San Pancrazio al Fango, and within 9 mi (15 km) of Natural Reserve Diaccia Botrona and Red House of Ximenes. Piazza Stefano de Maria and Vetulonia Ruins are also within 12 mi (20 km). 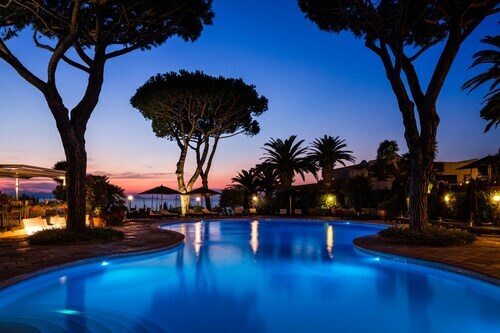 Situated in Monte Argentario, this luxury hotel is 0.9 mi (1.4 km) from Feniglia Beach and within 3 mi (5 km) of Forte Stella and Playa del Can. Paoline Library is 3.1 mi (4.9 km) away. 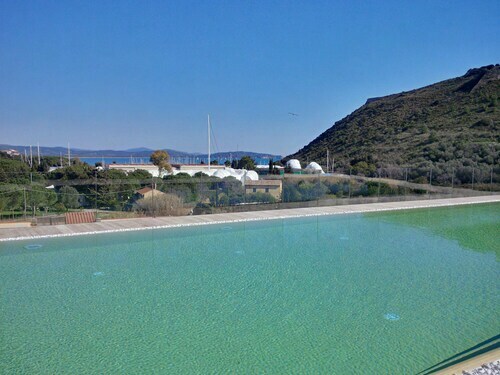 This family-friendly Monte Argentario hotel is located near the beach, within 3 mi (5 km) of Paoline Library and Feniglia Beach. Playa del Can and Bagni Di Domiziano Beach are also within 6 mi (10 km). 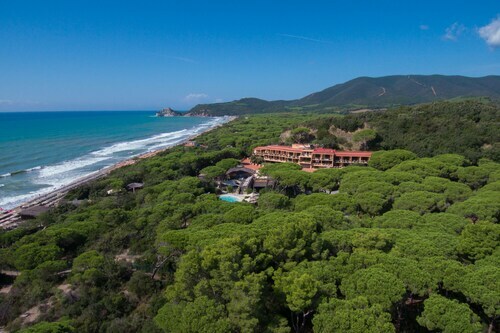 This family-friendly Castiglione della Pescaia hotel is within 2 mi (3 km) of Golf Club Punta Ala and Punta Ala Marina. Cala Violina and Acquavillage Follonica are also within 12 mi (20 km). How Much is a Hotel Room in Maremma? Hotels in Maremma start at $74 per night. Prices and availability subject to change. Additional terms may apply. Pack your bags—it’s time to embark on a getaway. Whether you’re craving a solo retreat or promising your family a vacation to remember, book one of the best hotels in Maremma. These hotels are located within easy access of the city’s hottest attractions and entertainment, so you won’t miss a beat while you’re in town. Spend the days exploring the local landmarks and the evenings getting to know the nightlife. After exploring the city from top to bottom, rest up at a hotel that speaks to you. Find the perfect place that matches your trip’s vibe, from a trendy boutique to family-friendly accommodations. Allow us here at Travelocity to pair you with up Maremma hotels that suit your vacation preferences. Discover places with convenient on-site restaurants, around-the-clock service, and pools where your kids can make a splash. Some hotels may boast fitness rooms and spa services, while others feature game rooms and Wi-Fi access. To top it all off, you’ll score cheap hotels in Maremma that let you spend more on your activities and less on your lodging. Book and bundle your flight and hotel deals together today and save up to $537. It’s time to explore a new city, and break out of your routine. Excellent location; responsive staff. Recommendation for the Dante Restaurant a winner. Beautiful, clean, everything looks new, the beach is in front of the street, but it did not bother me. There's an underpass to get to it. The view was amazing, just be careful pulling out of the parking lot.